As personal injury lawyers, we see a number of people who suffer from chronic pain, chronic pain syndromes, and fibromyalgia. These conditions often have a significant impact on injured peoples’ quality of life. Yet, they remain some of the most misunderstood and difficult-to-prove injuries before the courts and around the negotiation table. This blog post aims to provide a quick overview of the conditions. A future blog post will review some of the difficulties that lawyers and injured people face in personal injury cases when trying to prove that they are suffering from these conditions. Please note: The information provided on this website does not constitute medical or legal advice and should not be construed as such. The lawyers and staff at Moustarah & Company are not trained medical professionals and do not hold themselves out to be such. If you are suffering from an injury, whether chronic pain or otherwise, please contact your doctor or medical care provider. Pain that lasts and interferes with a person’s quality and enjoyment of life over time can be considered chronic pain. Experts vary on how long the pain has to last before it is considered chronic. The most common durations used to define whether pain is of a chronic nature are 3 or 6 months (as set out by Turk and Okifuji in “Pain terms and taxonomies”, in Bonica’s Management of Pain (3rd ed. ), pages 18–25). Others classify chronic pain differently and apply different time frames to distinguish between acute and chronic pain. Depending on the expert or taxonomy, pain that lasts for more than a certain number of months can be considered chronic. Chronic pain can come in many different forms. A person may suffer from chronic back pain, chronic jaw pain, chronic neck pain, and so on. Almost any type of pain has the potential to become chronic in nature. People may develop chronic pain as a result of a number of injuries or conditions. Persons suffering from long-term pain can speak with their doctor about their symptoms. Some people who suffer from chronic pain can develop Chronic Pain Syndrome (“CPS”) or other similar pain syndromes or disorders. Often, CPS is characterized as going beyond symptoms of physical pain alone, and may include depression, anxiety, or other psychological symptoms or elements. Persons suffering from pain or other symptoms can speak with their doctor about their symptoms. It may be helpful to think of fibromyalgia as a specific subset of the general category of chronic pain. 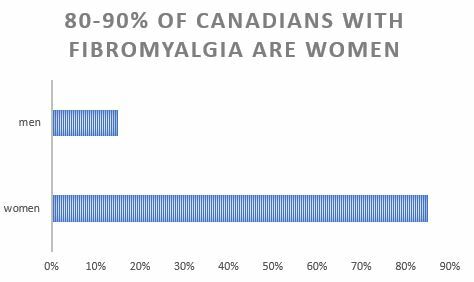 According to the Arthritis Society of Canada, fibromyalgia is a nervous system condition that causes chronic pain throughout the body. People with fibromyalgia may also suffer from other symptoms such as headaches, fatigue, difficulty sleeping, issues with mood and memory etc. Lady Gaga has recently been vocal about her fibromyalgia, raising public awareness about the condition and its symptoms. 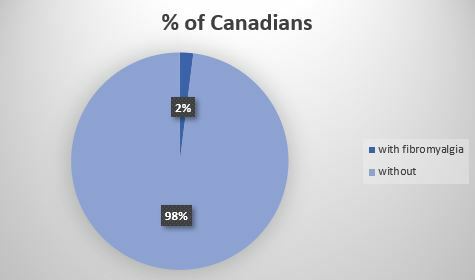 Approximately 2% of Canadians suffer from fibromyalgia. The condition primarily affects women. Persons suffering from pain, headaches, fatigue, difficulty sleeping, issues with mood and memory, or other symptoms can speak with their doctor about their symptoms.